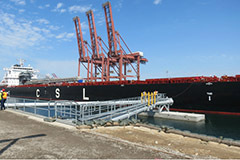 The Port of Long Beach has been working on the railroad. 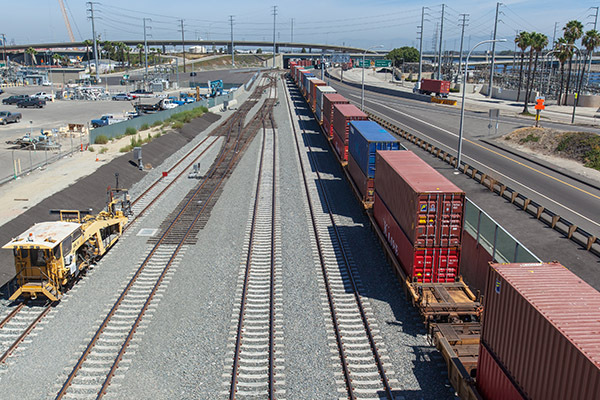 Strategic improvements – including the recently completed Green Port Gateway project – are adding up to a more efficient rail network for moving $180 billion in cargo annually swiftly and safely to market. 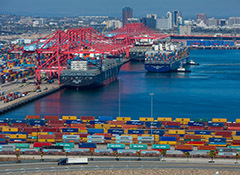 The Port of Long Beach and the U.S. Army Corps of Engineers are proceeding with a Deep Draft Navigational Study to evaluate potential improvements to the Port’s deep-water branch channels. The study will guide future navigational improvements building on the Main Channel Deepening Project completed in 2013, which provided a minimum depth of 76 feet from 2 miles outside the harbor entrance into Middle Harbor and the East Basin. 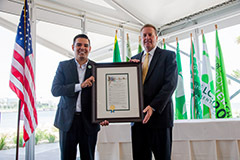 The Federal Emergency Management Agency has awarded the Port of Long Beach $3.4 million in grants to fund ongoing security projects. The funding will support security equipment, including monitoring and detection systems. The Long Beach Board of Harbor Commissioners has set a limit of $206 million on Port spending for design, building and related financing costs for a new administrative headquarters that is part of a new civic center envisioned for downtown Long Beach. 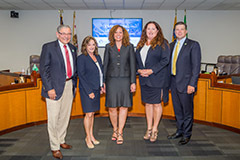 The Port, the City of Long Beach and Plenary Edgemoor Civic Partners are negotiating a final agreement to build the proposed complex, estimated at $358 million. The Port’s cap does not include $20 million the Port expects to spend on buying property and related staff and consultant fees. On Aug. 11, Gov. Jerry Brown signed into law state legislation allowing the parties to finance the project for up to 50 years. Port Town: A Historical Photo Exhibit is now open at the Historical Society of Long Beach through Nov. 6. The exhibit is based on Port Town, the definitive history of the Port of Long Beach by maritime authors George and Carmela Cunningham.